Happy Monday friends! I'm starting a new job today after being a stay-at-home momma for the past 4 years, so I'm hoping your week is starting off less stressful than mine is! 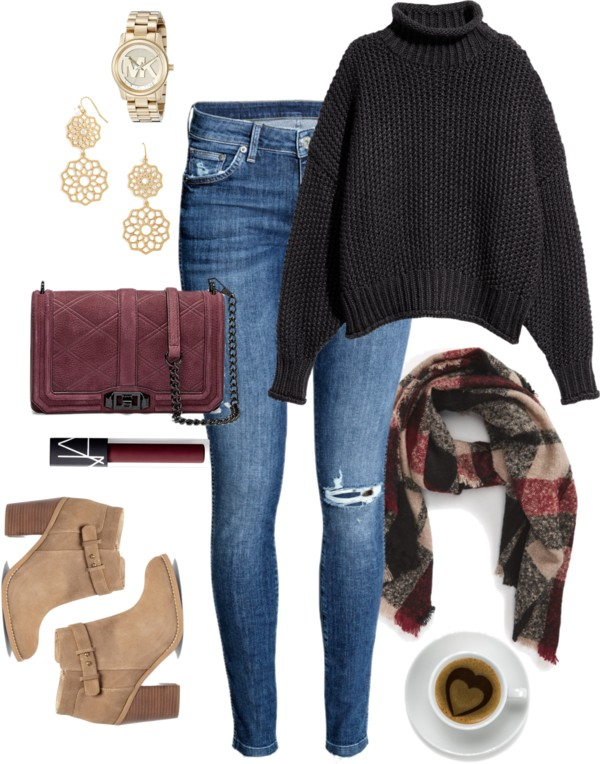 We're in full blown sweater season here in Indiana, so here's another casual outfit to spark some inspiration in your wardrobe. I'm so in love with this Rebecca Minkoff bag ... I want one in every color! It's definitely got a place high on my Christmas list this year. But I'm also linking up less expensive options for you. This chunky sweater is under $20 and looks so cozy. I could live in something like this all winter long!